Hockey has lost another former player at a young age with the death of 35-year-old Steve Montador. Montador, a longtime NHL defenceman, was found unconscious in his home in Mississauga, Ont., early Sunday morning and was later pronounced dead, according to Peel Region Police. While no cause of death was known, the police said no foul play was suspected. It's unclear when an autopsy will be completed. "We are all deeply saddened to learn of the sudden death of Steve Montador," said Donald Fehr, executive director of the NHL Players' Association. "Steve was a great person who quickly became a friend of everyone he came to know in the game." Fehr praised Montador for dedicating much of his time to advancing the interest of his fellow players. Montador, a native of Vancouver, was plagued by concussions throughout his hockey career and said in 2013 he battled depression. "I can see why people have a hard time with a number of different things and being taken away from something they love to do and not sure if you’d ever get back the chance," he said at the time, according to CSN Chicago. "There's a lot of uncertainty, a lot of fear, a lot of anxiety and depression that comes with that." Montador played for the Ontario Hockey League's North Bay Centennials, Erie Otters and Peterborough Petes. He began his NHL career with the Calgary Flames during the 2001-02 season. The defenceman went on to play for the Florida Panthers, Anaheim Ducks, Boston Bruins, Buffalo Sabres and Chicago Blackhawks before finishing his playing career in the KHL. Montador had 33 goals and 98 assists in 571 career NHL games. "The NHL family was saddened to learn of the passing of Steve Montador," commissioner Gary Bettman said in a statement. "Steve's career was defined by a passion for the game and a determination that made him a great teammate as well as a respected opponent. We extend our deepest sympathies to Steve's family and friends." Montador's death brought an outpouring of grief and condolences among those in the hockey community, especially former teammates. NBC's Mike Emrick offered his thoughts and prayers during Sunday afternoon's game between Chicago and the Pittsburgh Penguins. "He was a leader in the locker-room," Chicago forward Patrick Sharp said after Sunday's 2-1 shootout win over Pittsburgh. "He did a lot for the union on our team, and then league-wide. He was friendly with everybody and a great teammate. It's really disappointing to hear the news before the game. We're going to support each other, support his family and all of his close friends, and get through it." Other current and former players took to social media to express their feelings. 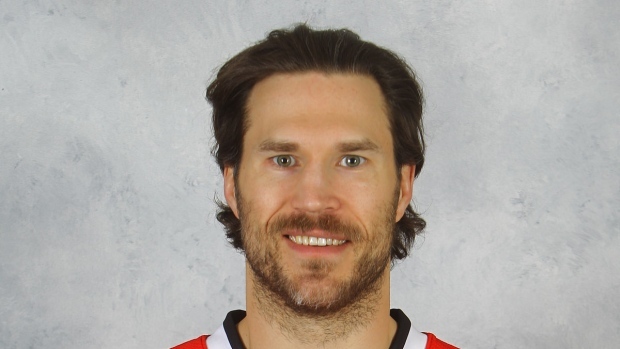 "To my friend Steve Montador may u find peace in a better place," former Blackhawks teammate Nick Boynton wrote on Twitter. "I'll miss you." Wrote Ryan Miller: "As a teammate he laughed a lot and made the rink a fun place. This is so sad." Many younger players remembered Montador for being a strong mentor to them. "So sad to hear the passing of my former teammate Steve Montador," former Sabres teammate Luke Adam wrote. "I will always remember how good you were to me as a rookie Monty." Canadian women's hockey gold medallist Hayley Wickenheiser remembered Montador as one of her dearest friends. "Heartbroken," she wrote. "Fly with the Angels Steve you are a beautiful soul."